If you haven’t been crocheting for long your first choice may be to move on and keep searching. Please reconsider! Now, I’m not saying every level of crocheter should tackle an advanced pattern. But there comes a point in time where you need to stretch yourself beyond what you’ve tried in the past. 1) Read through the pattern – I can’t tell you how many times I haven’t done this. I used to just skip right over this step. Just do it! It’s amazing what may jump off the page at you. You may notice that the pattern only has stitches that you already know and they’re just combined uniquely. Or you may realize that even though it’s a new stitch, the pattern repeat is only a few stitches so once you get the pattern down it won’t be so bad. This may be the step that can convince you to give it a try. 2) Gauge swatch – If the pattern has a gauge swatch it, make it. Period. End of story. 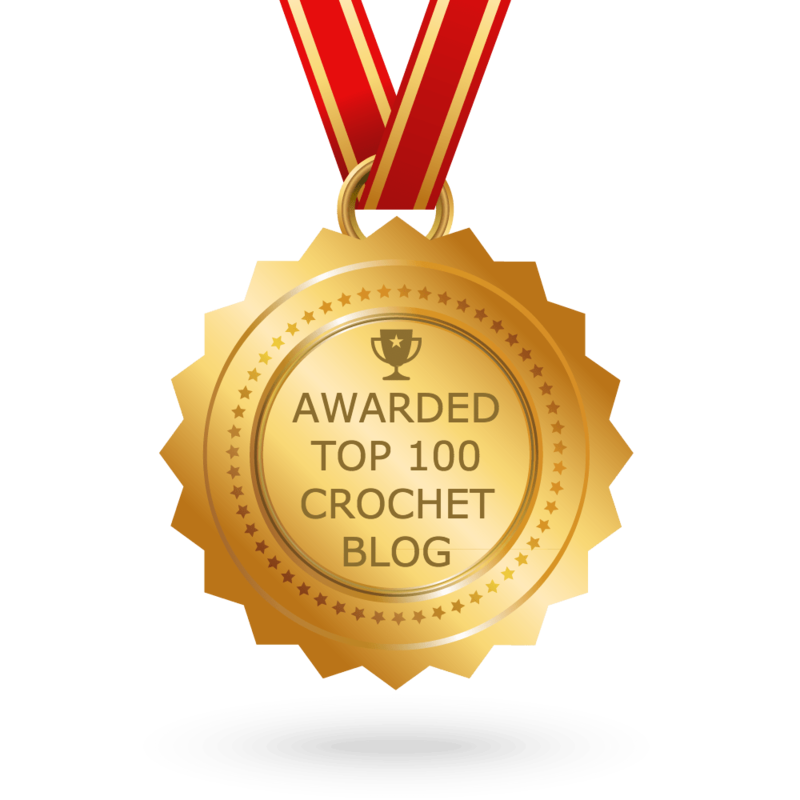 I won’t go into all the reasons why gauge swatch’s are important – that’s what the post “Is Crochet Gauge Important?“ was written for. In terms of advanced patterns, it will help you decide if you can tackle the pattern on a larger scale. 3) Have Confidence – This is the most important step! (It’s also my Word for the Year) You need to believe that you can do it. If you don’t believe you can, then either you won’t try or you’ll be setting yourself up for failure. You may not be able to make it today, or tomorrow, or even next week but if you keep trying you will eventually be able to do them. 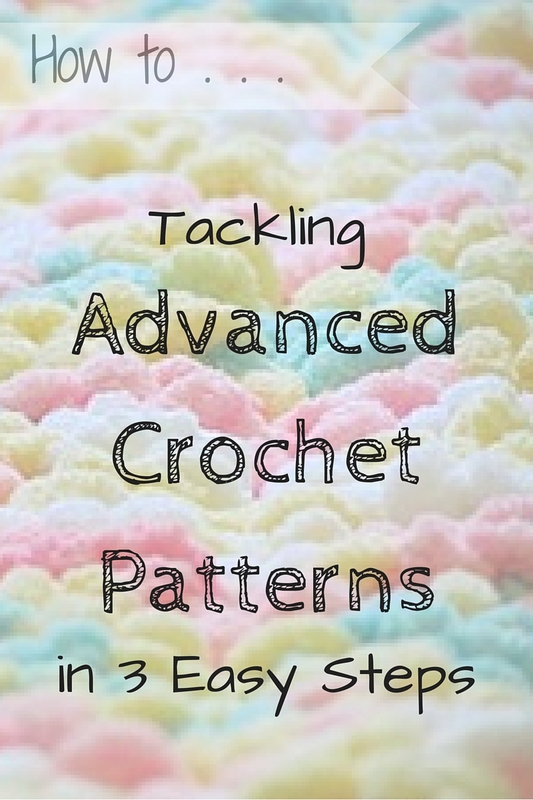 How do you tackle that advanced pattern? Good advice thank you. I find that I break all but the confidence rules. It’s good to have encouragement. Good advice. If there’s a stitch I’m not familiar with I just Google it and I can always find a written or video tutorial to help me. I read a piece of advice when I first began crocheting that has stuck with me all these years. “Just remember, the best thing about crochet is that you only have to think about one stitch at a time!” It’s easy to get overwhelmed when you look at an advanced pattern and the way all the stitches fit together or new techniques. But just focus on the one stitch you’re currently working on. Make sure you have that one stitch right. Then go on to the next stitch. Before you know it, you’re doing it! This has helped me more than anything else because I know that no matter how difficult the pattern, it’s still just one stitch at a time and I can do just one stitch, right? That’s excellent advice! Thanks for sharing, Mandy. I just started crocheting in September. I made my brother a simple cowel for winters in Oregon. Then I moved to a blanket for my chair. Not the prettiest thing, but I’m the only one using it. In the past month, I’ve finished a baby blanket, an afghan, a basket to hold all my yarn, and just made a huge panda bear for my grandson’s first birthday. I’ve learned all my stitches watching videos. I found that if I look on Youtube, I can find a tutorial for any new stitch. It just takes time and patience. And yes, following your three steps,without even realizing it. Thanks for the advice! Awesome, Sally! Welcome to the crochet community. Great advice .i need it about now.i am challenging myself to thread crochet it’s hard. Just keep practicing, Yvonne. It will get easier.